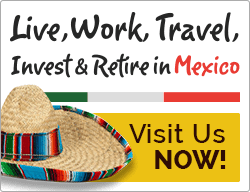 Travel is the key to cross cultural discovery, as is well known. 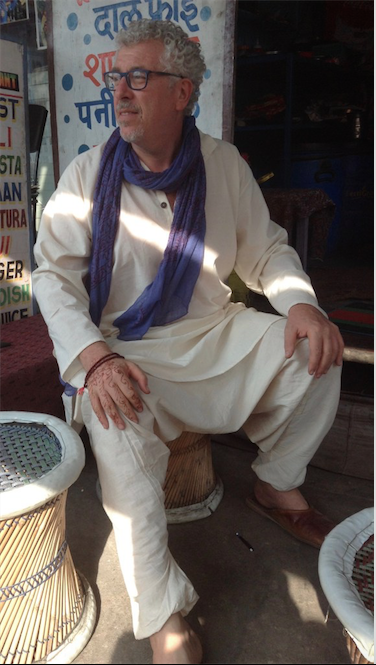 What a traveller brings into the equation can of course change the nature of the cultural experience. 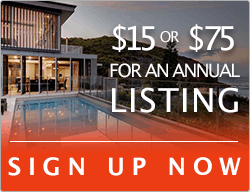 Foodies, for instance, will tend to zero in on a chance to taste a new fruit or some new ethnic cuisine. 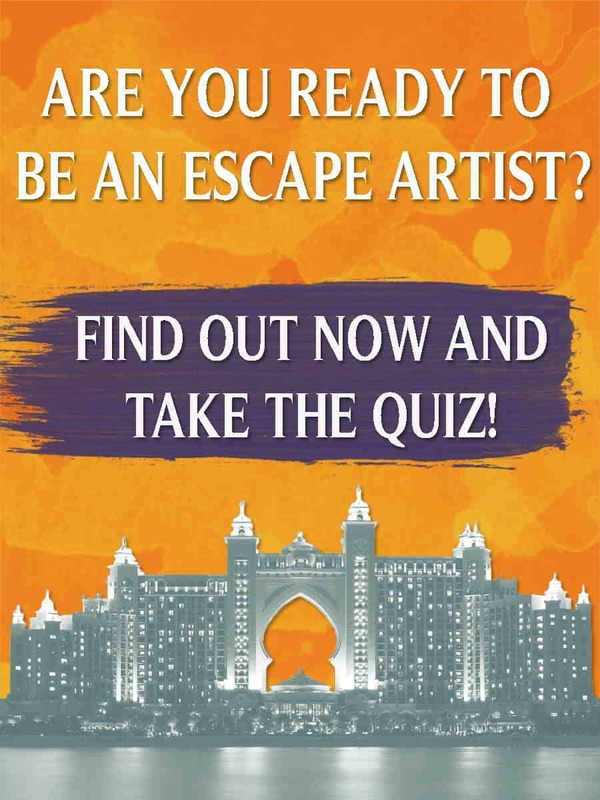 Artists may primarily recall the architectural marvels during their travels. But all travelers, consciously or not, engage with locals, before ever uttering a word, through their clothes. To wit, one does not need to hear the voice of an American to be certain of his/her origins when walking through the streets of Paris. With this in mind, as empty nesters now 8 years into a global adventure of sequential living and travel through over 30 countries, we are quite aware of our non-verbal communication, via our dress. 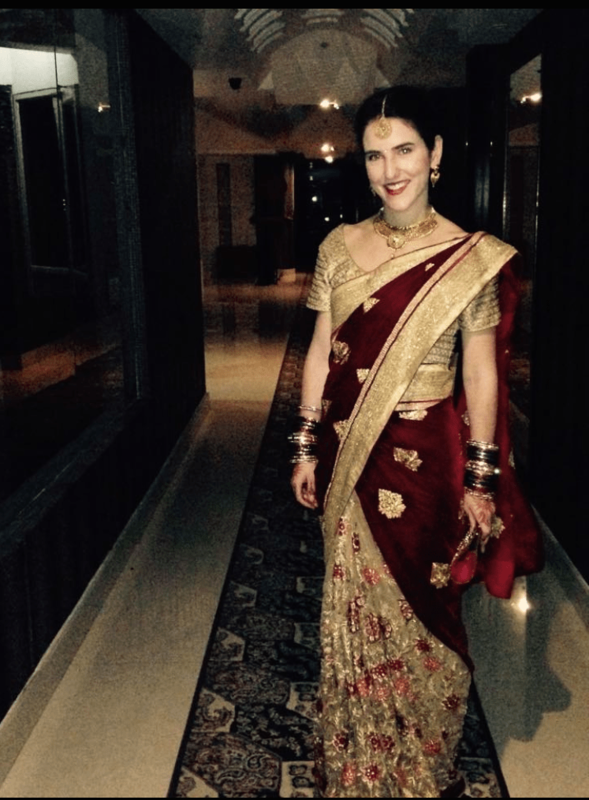 And to remedy the pre-conceptions that our western attire may trigger, we have come to naturally indulge in culture bending through our choice of attire. Sarongs are very common in Sri Lanka and worn only by men. 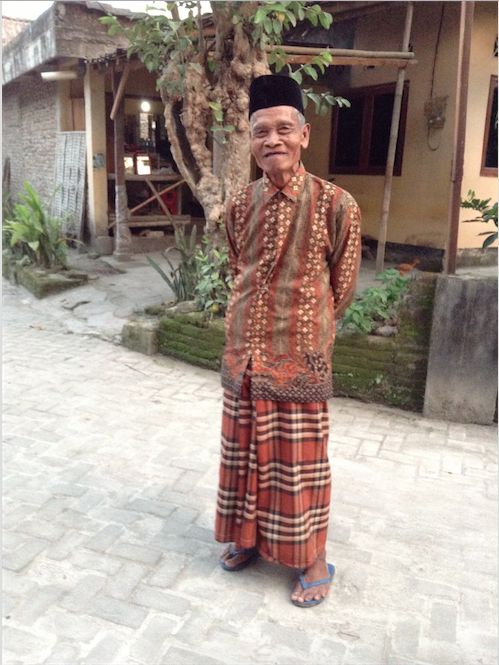 A similar garment is worn by women, but is more of a wrap around skirt, called a “redda.” The sarong is the standard garment for most men in rural and some urban communities. Most men of upper social class wear the sarong only as night garment or only within the confines of their home, or on special occasions. 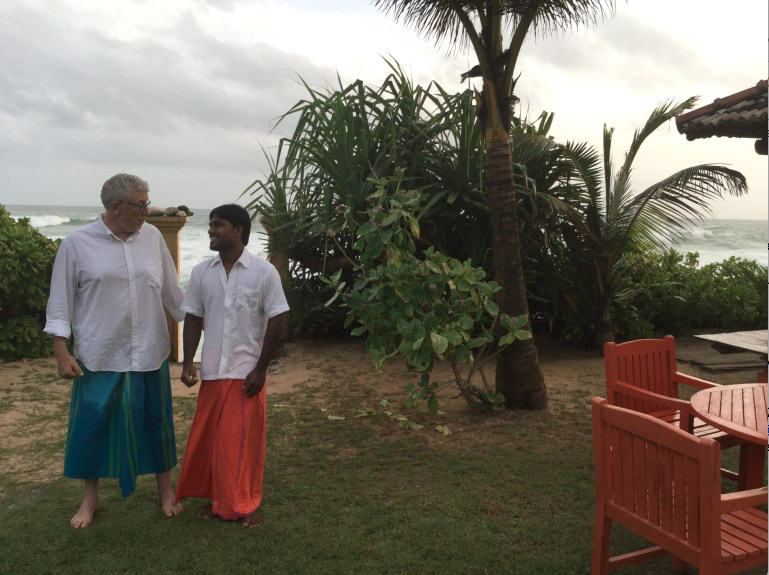 Surprisingly, the Sri Lankan Sarong is typically worn with a “western” shirt. Ben (left) has to improve his knot tying skills and has to rethink the length of his sarong. 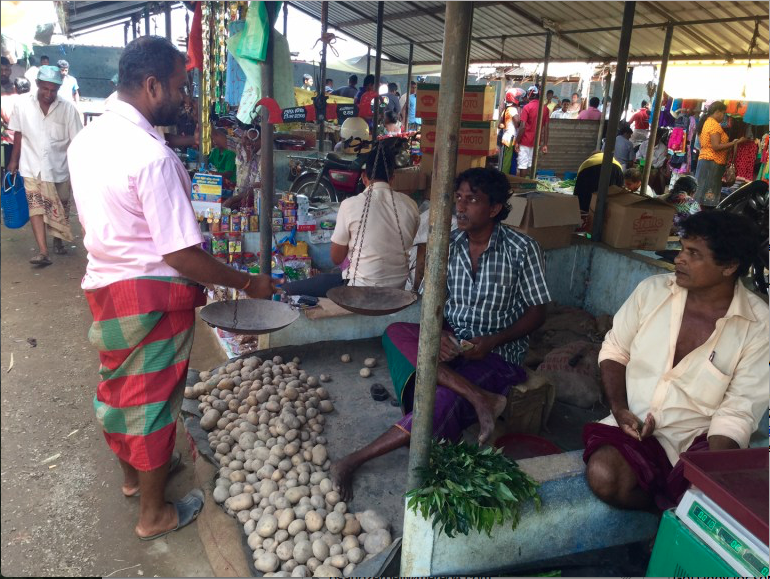 By the time we discovered Sri Lanka, Ben was already well on the way to making the Sarong, or Lungi, part of his standard dress… It all started for him in Indonesia. 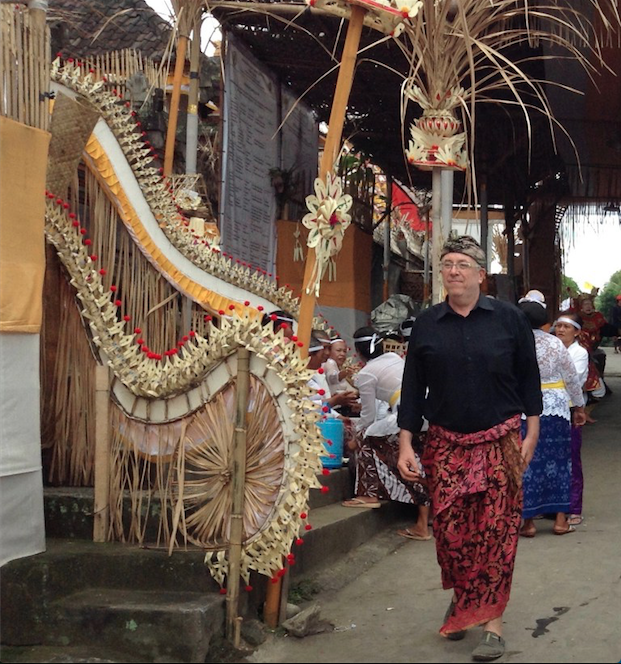 Sarong wearing in Indonesia has a rich history…With a humid climate, sarongs have made it easy for workers in rice paddies to walk through fields, and they are light and comfortable and easy to move in. When needed, sarongs double up as carrying sacks, headscarves and have therefore been an integral part of daily life for men and women in Indonesia. Sarongs in Indonesia are typically hand dyed, still today, using the ancient method of batik. 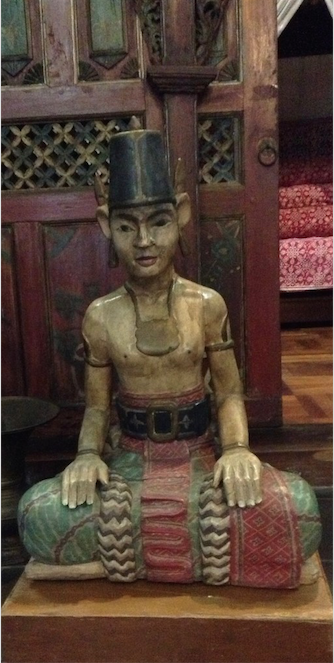 This antique wooden carved sculpture shows that the sarong has been the preferred mode of dressing for generations. 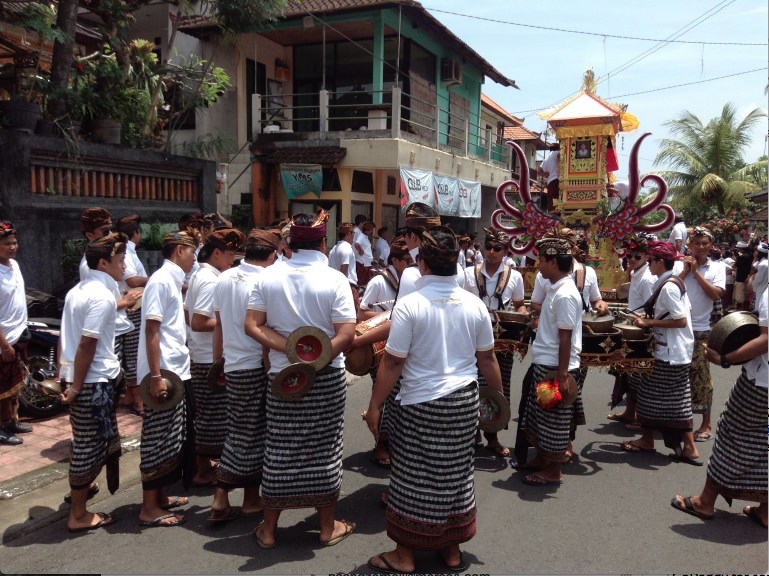 Even though the island of Bali, which follows buddhist traditions, very much differentiates itself from the rest of the Indonesian archipelago, which is primarily muslim, the sarong crosses over to Bali as men’s wear. 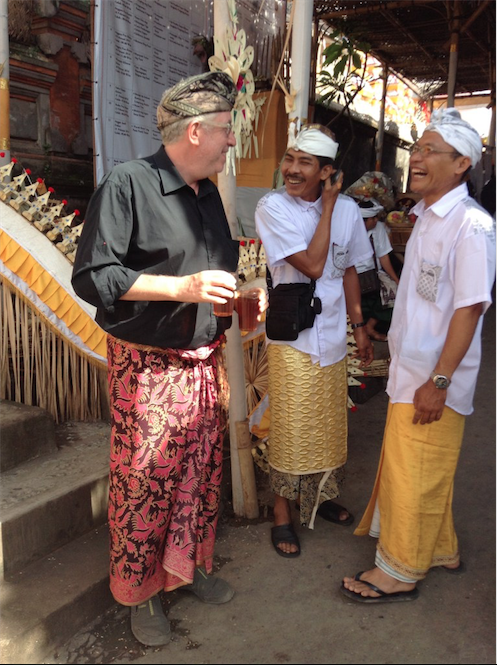 It doesn’t take long before Ben is donning his first Indonesian Sarong. 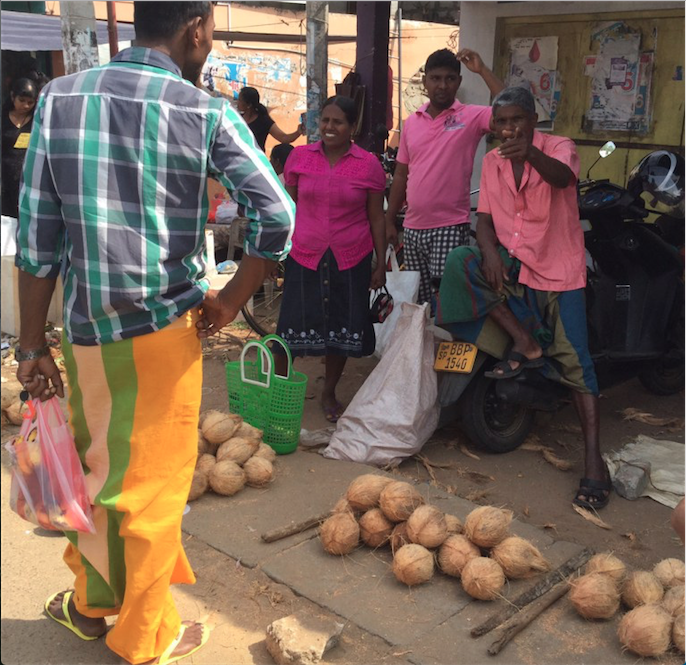 In India, there are many variations on the lungi, depending on whether you are in the North or South, and the ethnicity and cultural traditions of the people of each region. 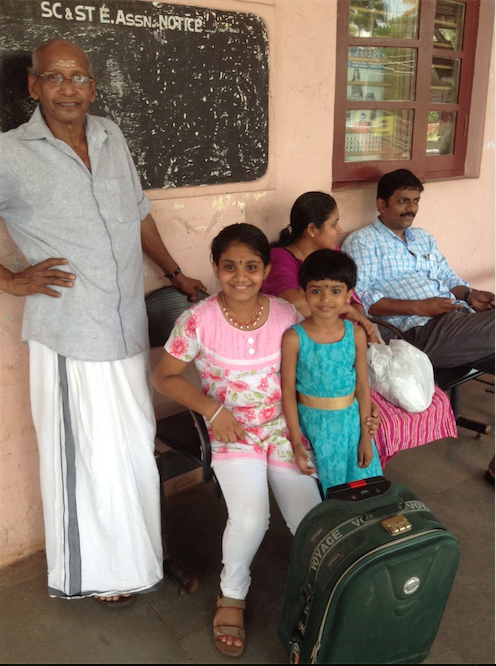 In Kerala, the lungi is generally colorful and available in various designs and is worn by both men and women. 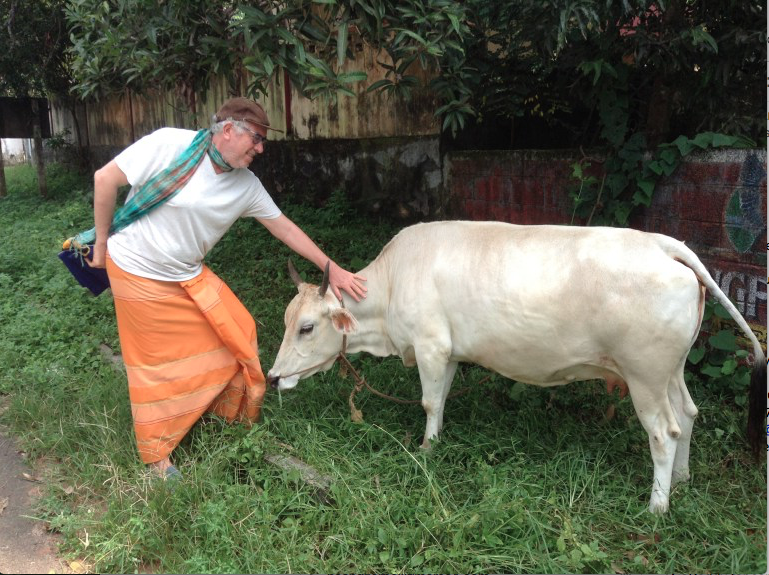 The lungi is certainly a versatile garment which can be worn “half mast” and “full mast” as per the occasion and physical activity. 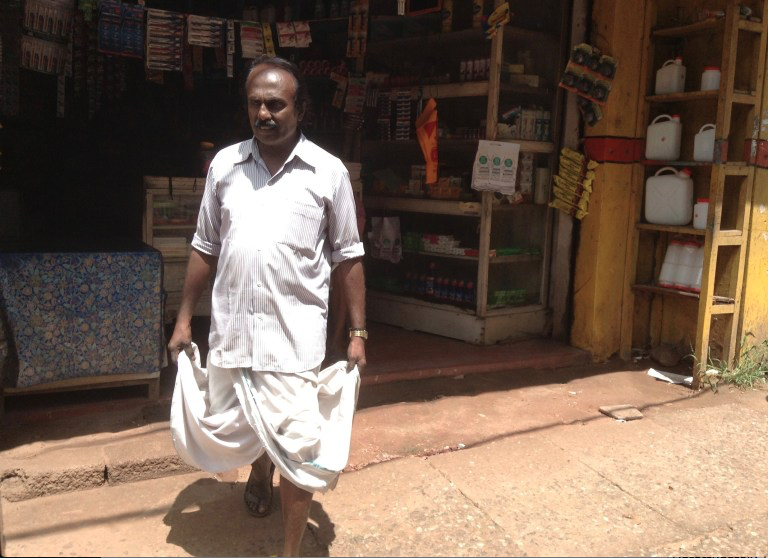 Men can be seen constantly adjusting the length of their Lungi, as this gentleman below. 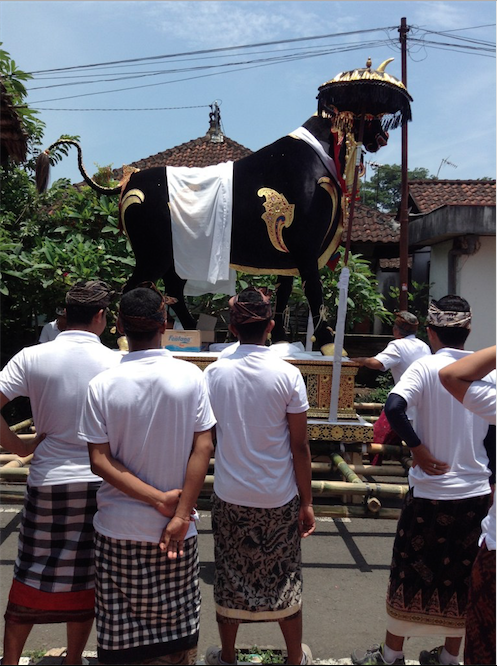 Of course, the lungi or sarong are not the only opportunities for culture-bending during our travels. 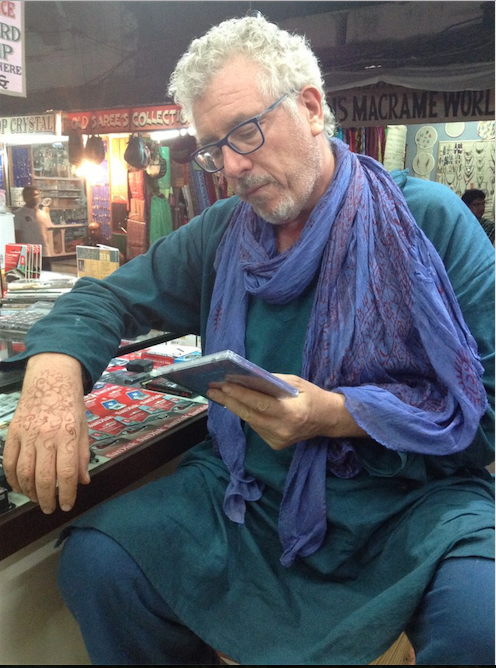 Attending an annual camel trading fair in Pushkar, Rajasthan we soon came to recognize that our western clothes, or even his sarongs were “out of place”. 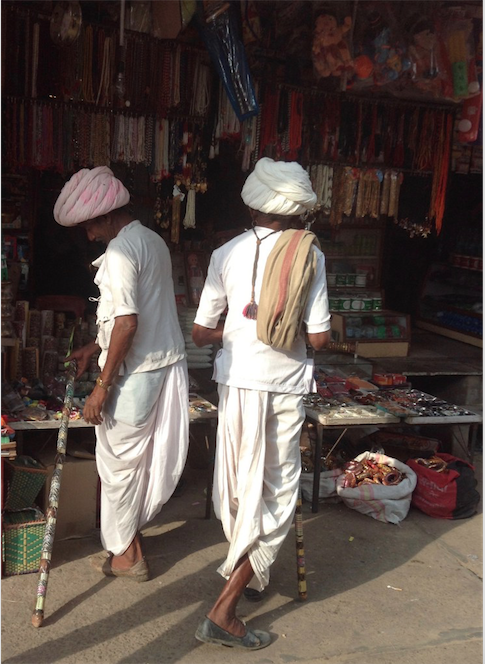 Men here wear pants called a “dhoti”, which is a four to six feet long white or color strip of cotton. The dhoti is traditional attire worn mainly by men in villages. Wrapping the long cloth into either head scarf or long pants requires masterful folding. 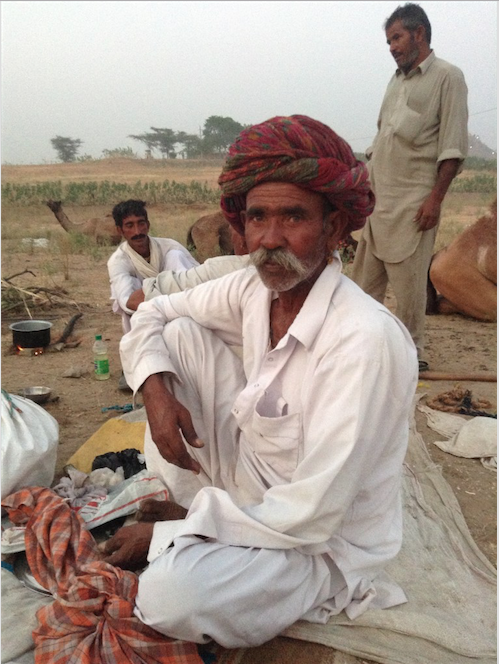 These camel traders come to Asia’s largest annual camel trading fair, in Pushkar, to sell their camels, to barter with other traders, to stock up on goods from “town” before they return to remote villages, and to catch up community gossip. 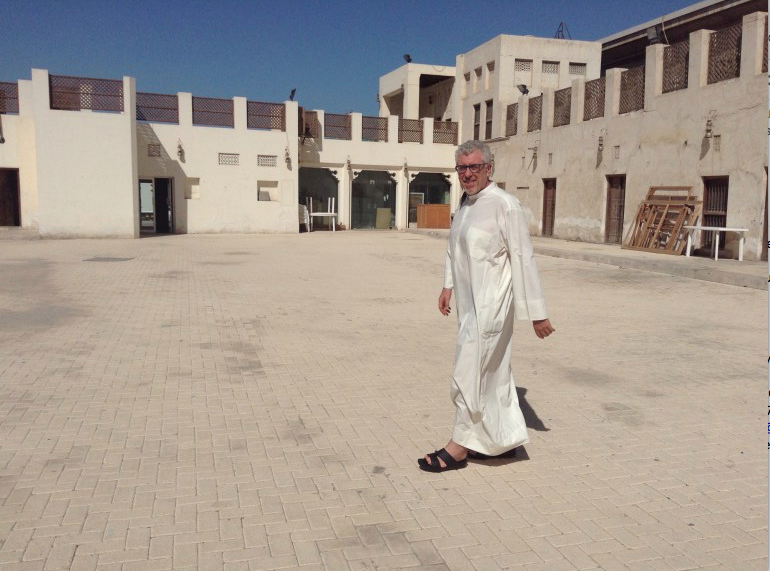 Their white dhoti’s pop in the sandy landscape, and Ben soon decides to morph into local whites. Pushkar is not only a once-a-year destination for camel traders, it is also and primordially a highly respected site for religious pilgrimages. 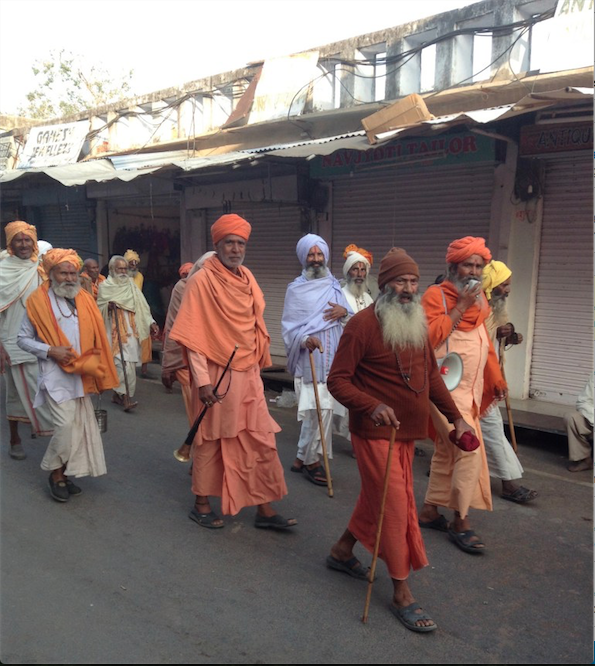 Religious men and community elders on a brisk morning walk display beautiful dhotis, with a penchant for saffron colors. In the current context of hyper-sensitivity to all things muslim in the West, it is infrequent for westerners to by-pass immediate pre-conceptions and engage, person to person, as they would in any other environment. 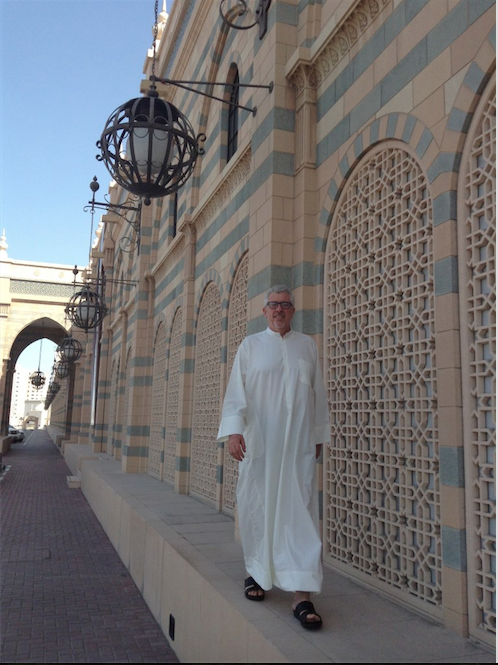 All the more reason for Ben to adopt the kandura when in the UAE. Ben’s proclivity for “culture bending” is often matched by Peta. Peta and Ben are empty nesters on a green global trek – to follow their adventures, please see www.greenglobaltrek.com and sign up as a follower.